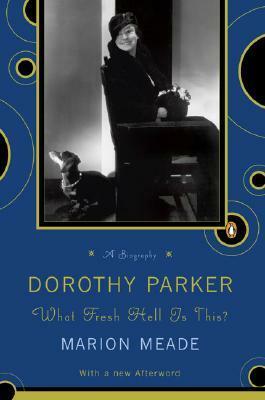 Dorothy Parker didn't really seem to have a happy life. Although she had some success writing film scrips, living the time in a hotel/live-in which was pretty popular during her time, she was unlucky in love and suffered bady from depression. Her passion was poetry, which didn't go very well for her either, being a fan of Sylvia Plath wasn't exactly an uplifting style to follow. “Beauty is only skin deep, but ugly goes clean to the bone."